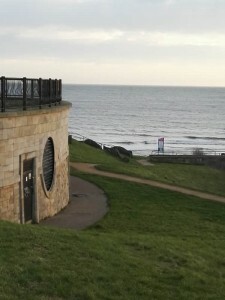 The regular launch for Blyth is at a place called ‘hole in the wall’. There is a small car park just before you get to the barrier at Blyth Marina which is free of charge and where there is a ‘hole in the wall’ to allow access to the beach. 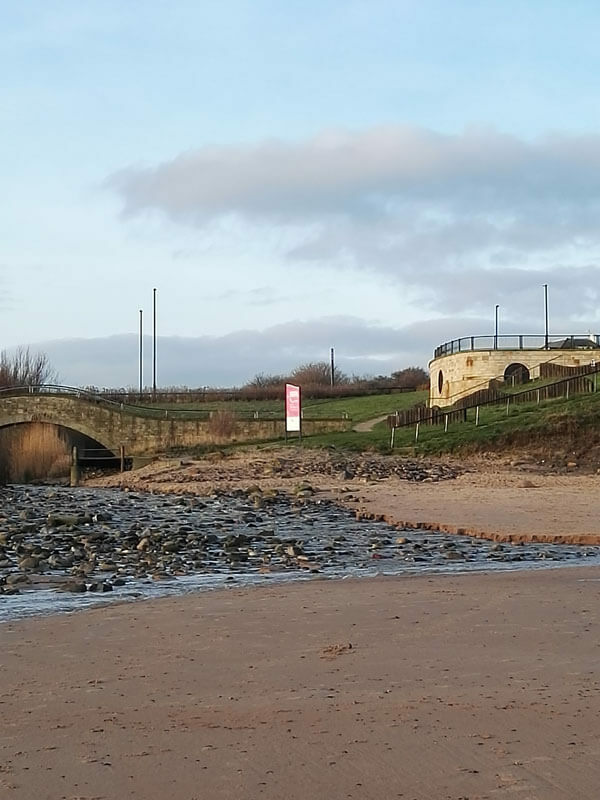 There is a little bit of a lip to get over from the car park to the beach but it isn’t major and very easy if there are two of you. 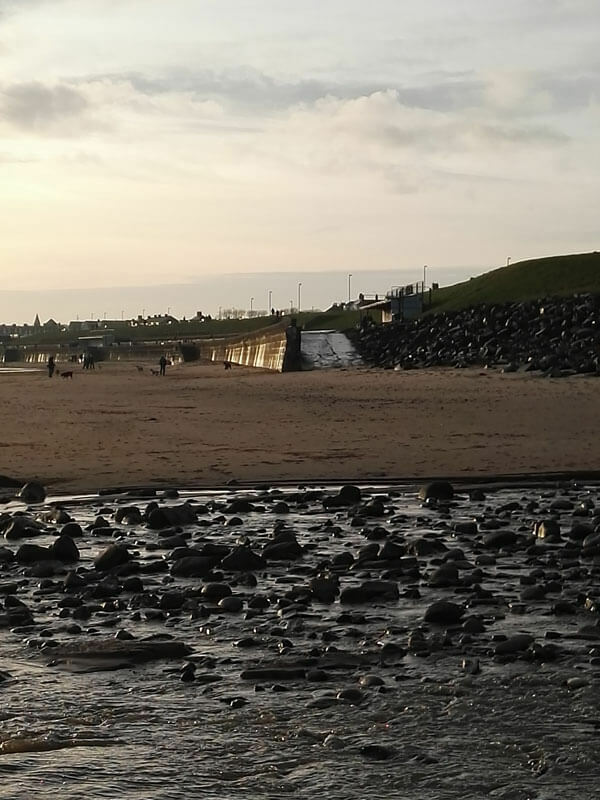 The distance from the car park to the water is very short (especially at high tide) often meaning there is no need for a trolley. 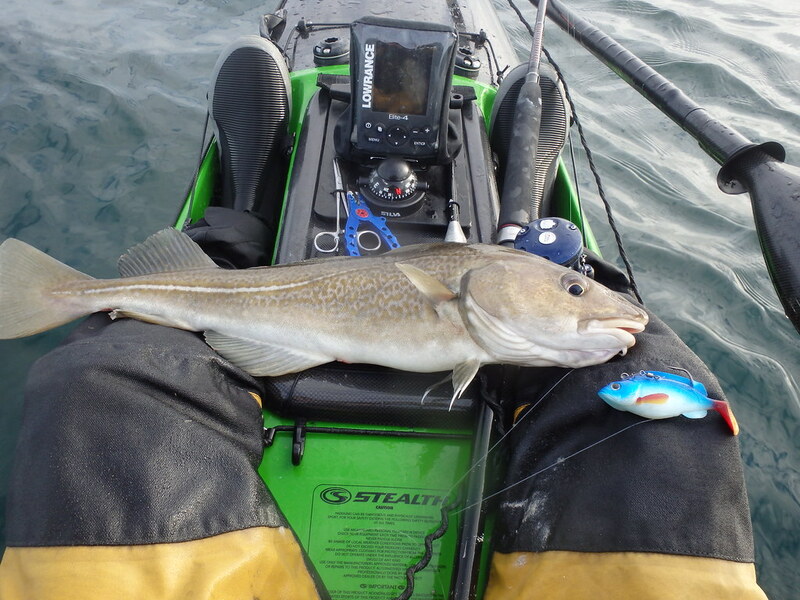 From this launch spot you have a lot of choices when it comes to styles of fishing and species to target. 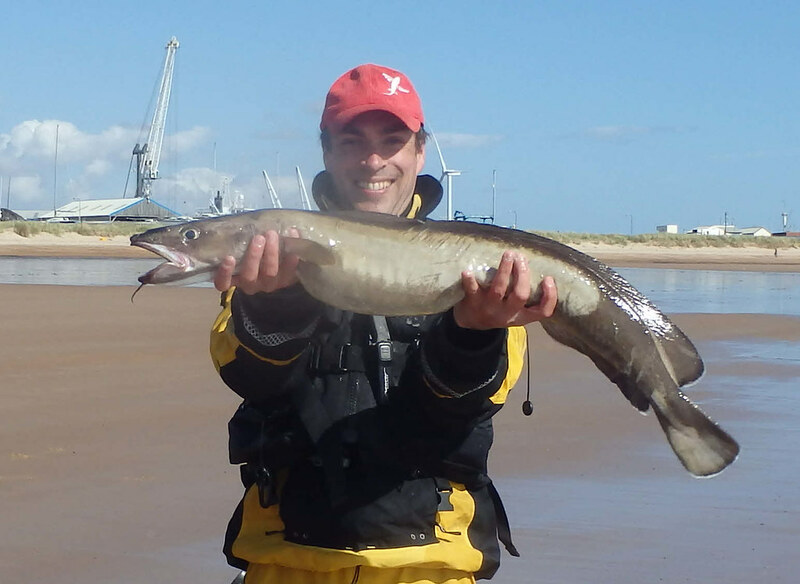 Firstly, you have a lot of sand banks inshore that provide good flatty fishing. I’ve had a lot of plaice and dabs from Blyth. I’ve had a few of the nasty weaver fish too. If this doesn’t take your fancy then there is catfish reef. This is a reef about ¾ of a mile off shore that can hold good cod on the right day. 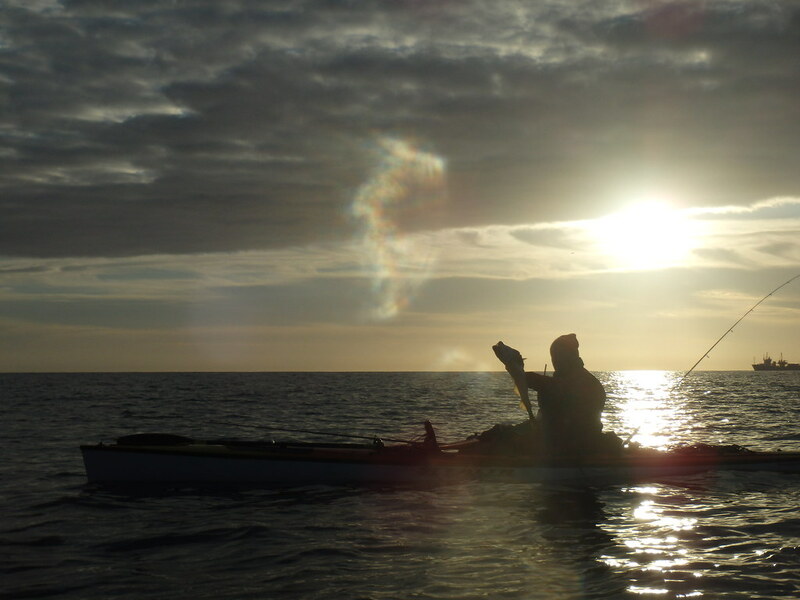 You can also paddle to the reefs just north of Blyth pier (see Cambois for more details on this area). The highlight of this spot for me is the wrecks. They are numerous but do require a bit of experience and good sea state as they are a good distance off shore. These hold the usual cod and Pollock but also provide the odd ling as well. 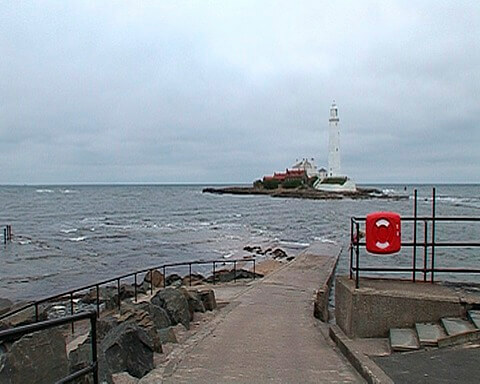 In summer, Blyth is another mackerel hot spot and can be caught just about anywhere previously mentioned. 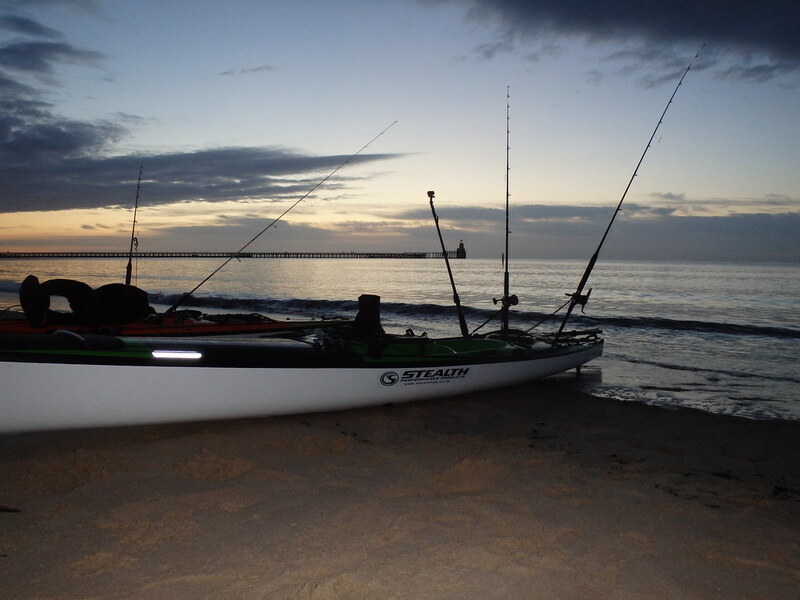 Blyth is one of my favourite locations and one I hope to fish a lot more in the future. 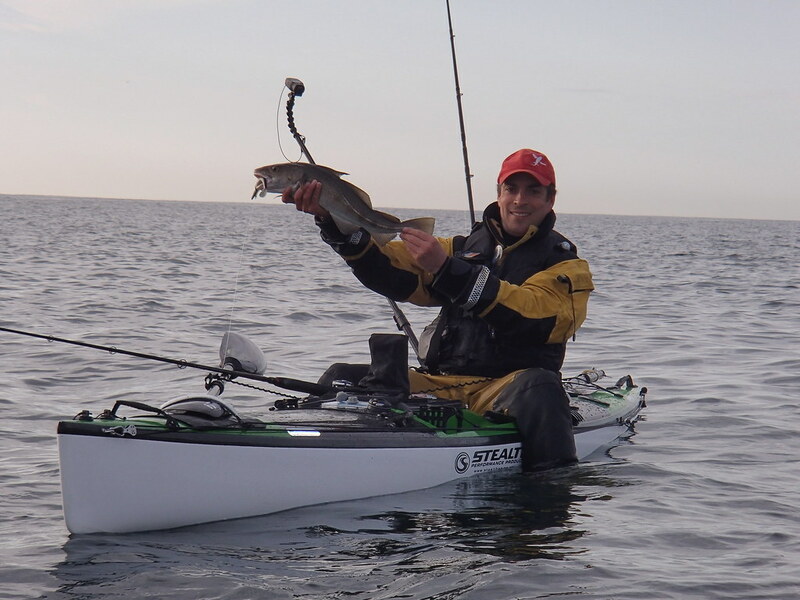 Whitley Bay is a fantastic all round kayak fishing location. It has a lot of varied terrain offering quite a few species in close proximity to each other. It is also relatively sheltered as a lot of the large swell gets blocked by the outer reef allowing for an easy paddle out (particularly at mid tide) when other spots such as Tynemouth would be hard work. 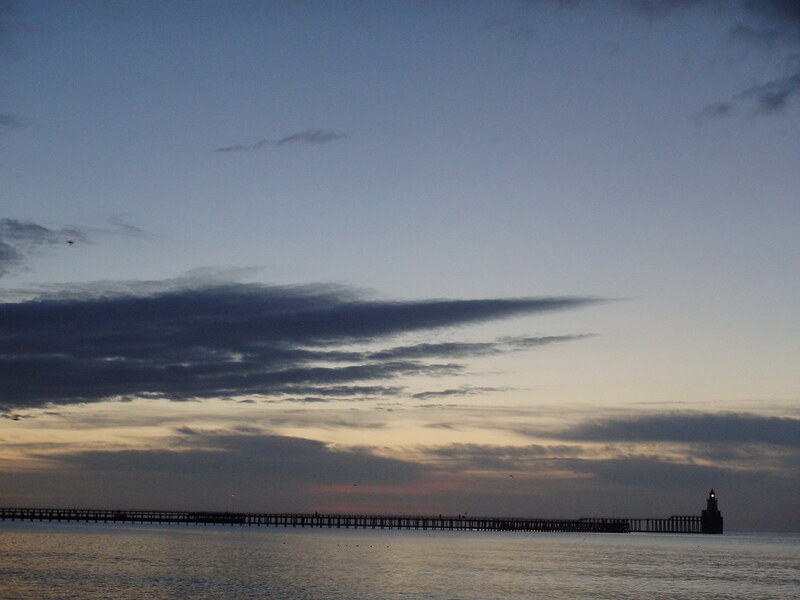 The bay is shallow until you get to the outer reef whereby it drops away quite quickly. 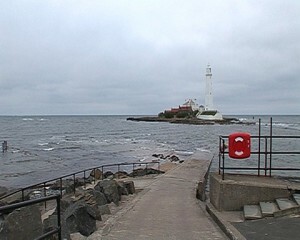 Most of the ground is rocky making it an excellent spot for cod fishing. 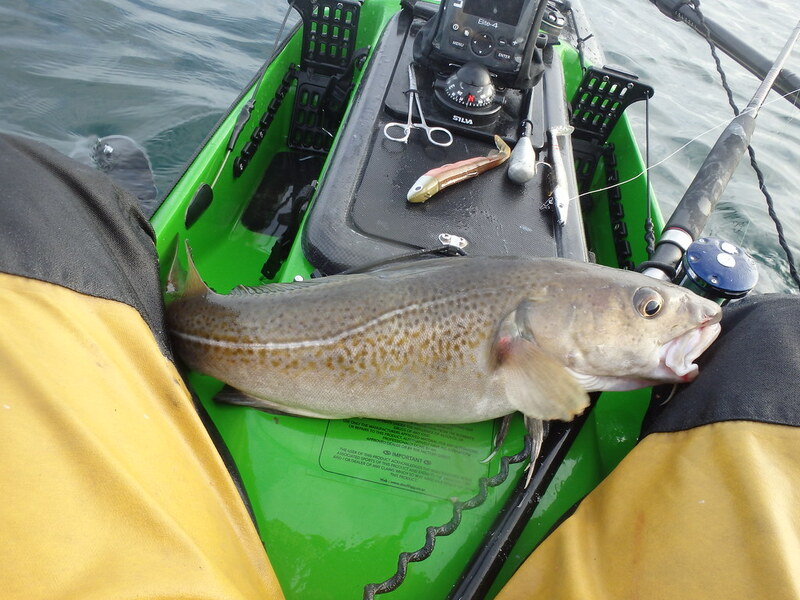 Around the light house area there are large drop off’s and there is always a good chance of a pollock and wrasse. Further North of the Island there is some large kelp beds which are also worth a look at. It is rumoured that bass can be caught here on the inside reef but I’m yet to get one. Further out towards yellow can (a marker approximately 1 mile out to sea) you will find more rough ground in approximately 60ft of water. This is again, cod country and if you are adventurous, there are a few wrecks not too far from there that are worth checking out. 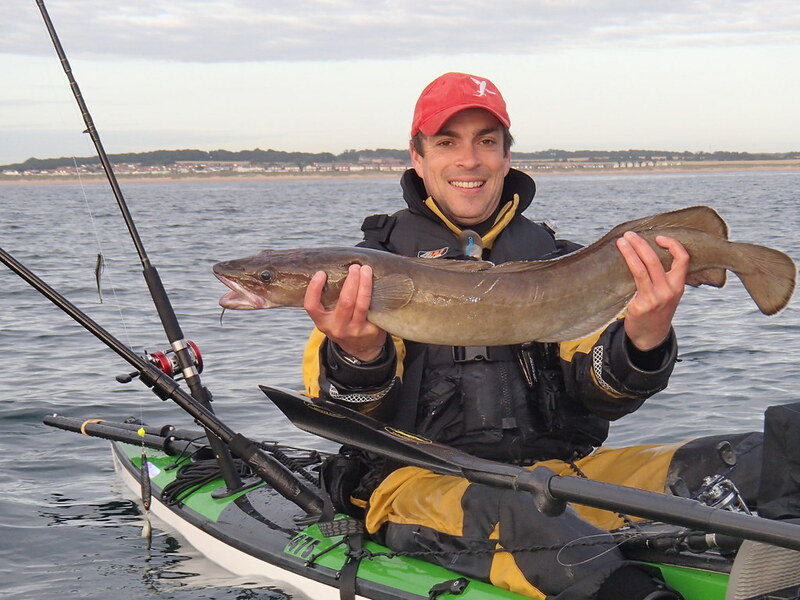 Whitley Bay is one of my favourite areas to kayak fish from and has produced good size fish for me with cod and pollock both over 10lb fairly close to the shore. 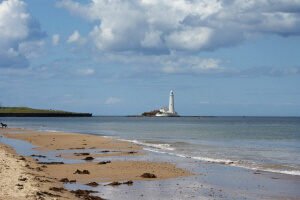 Whitley Bay offers a few different options when it comes to launching the kayak. This is a very easy spot to launch from at high tide. You can wheel the kayak down the road right into the water. At low tide it can be a bit of a pain getting the kayak up over the raised road but it is do-able (especially if there are two of you). The parking is not free though and at time of writing is £1.20 per hour which is a downside. 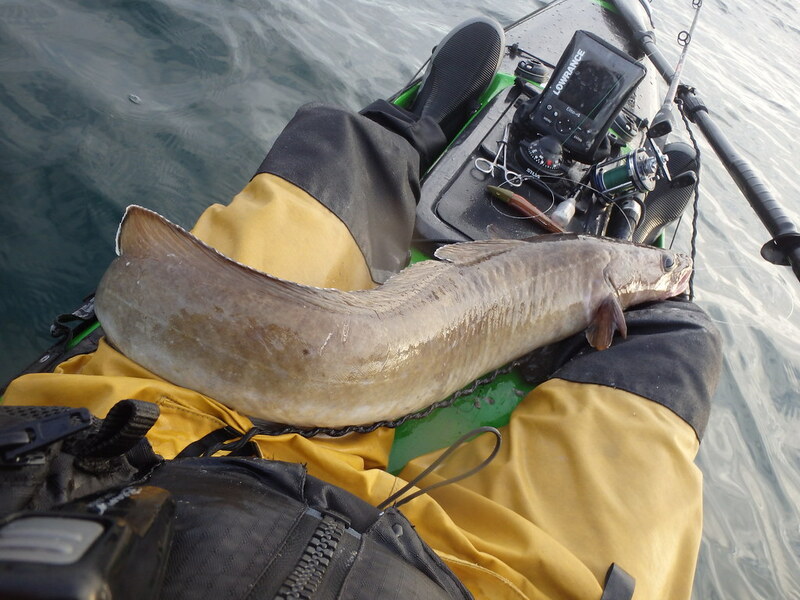 This is probably the most popular access point amongst local kayak fisherman. People park opposite the small golf club car park and walk across the dual carriageway. Parking here is free (note: the golf car park is not). 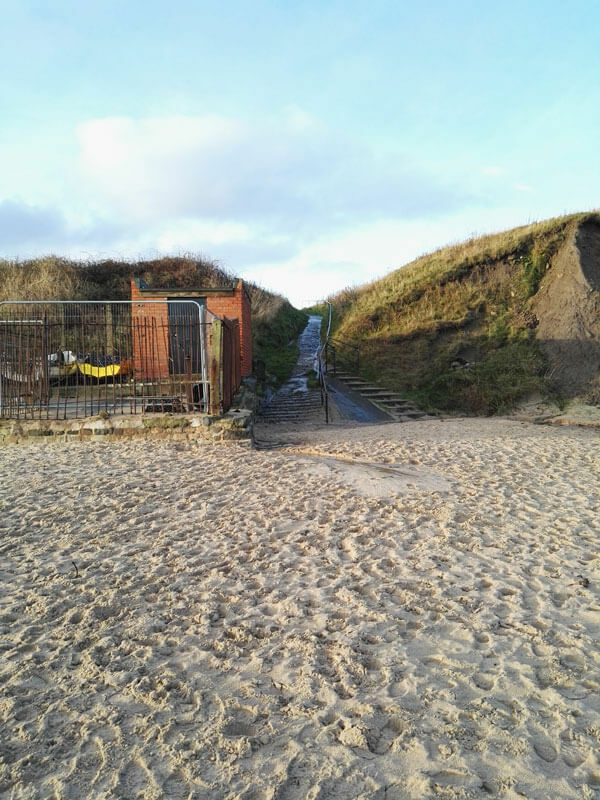 The access is OK going down but it is steep. Going back up is a killer. 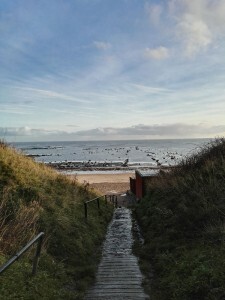 It is only a short walk but the steepness can really test you. Especially if you are carry the extra weight of a good catch! 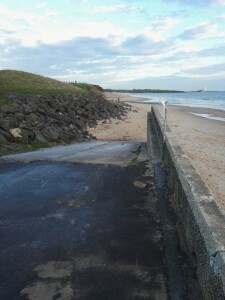 View from the road of the foot path that can be used to launch. This is the spot that I launch from quite frequently as it is close to home. 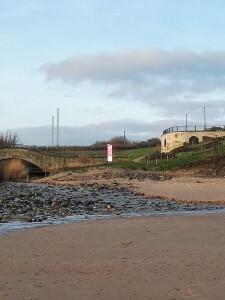 You can park in the large pay and display car park directly above the foot path and walk the kayak down. It is a good spot if you want access to the middle of the bay. The only problem is the last 10m stretch as this is over uneven rocks and pebbles. A view from the top of the concrete slip. This is a very easy launch. This is the easiest access to the middle of the bay and is just slightly south of access point 3. 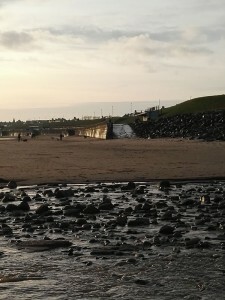 The concrete ramp is wide and runs straight to the beach. It isn’t too steep either and is in quite good condition. The only problem is the distance to get to it as you will most likely still need to park at the large car park. Dave and I met at the ‘whole in the wall’ at Blyth at 5am. Our plan was to fish a few spots a mile or so out. 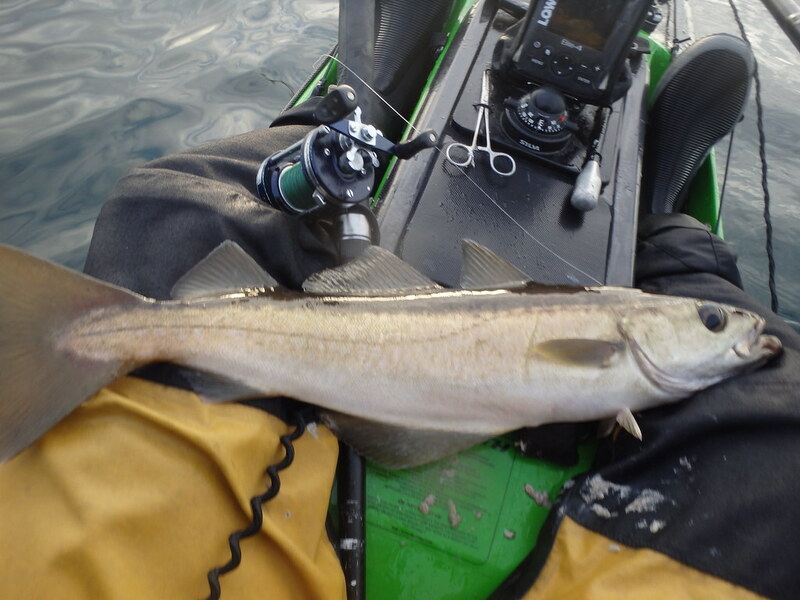 Dave led the way (even more so than normal with my broken plotter / fish finder) and what a great guide he was. 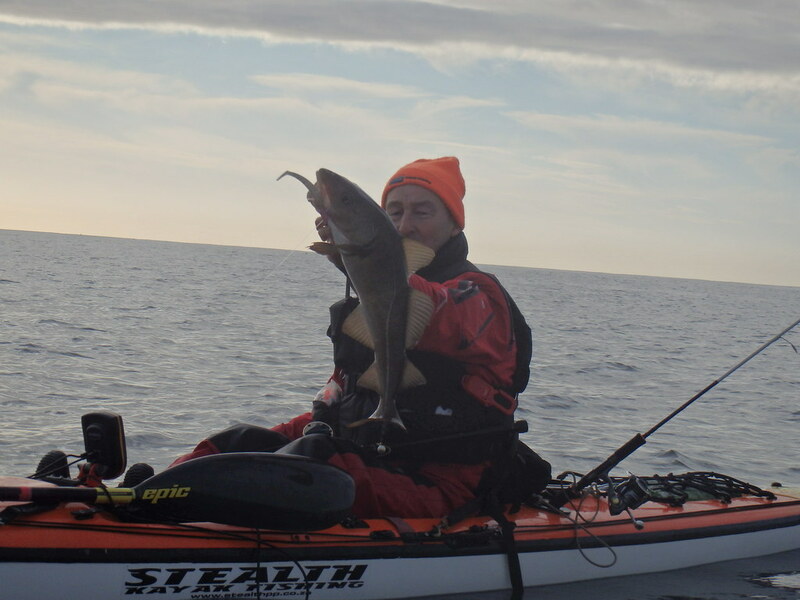 We paddled out into great conditions but struggled to find fish at the first spot. I had a coaly and a cod and Dave a mackerel but nothing much to shout about. We moved on. This was a great decision. We had a good stamp of fish from the off. 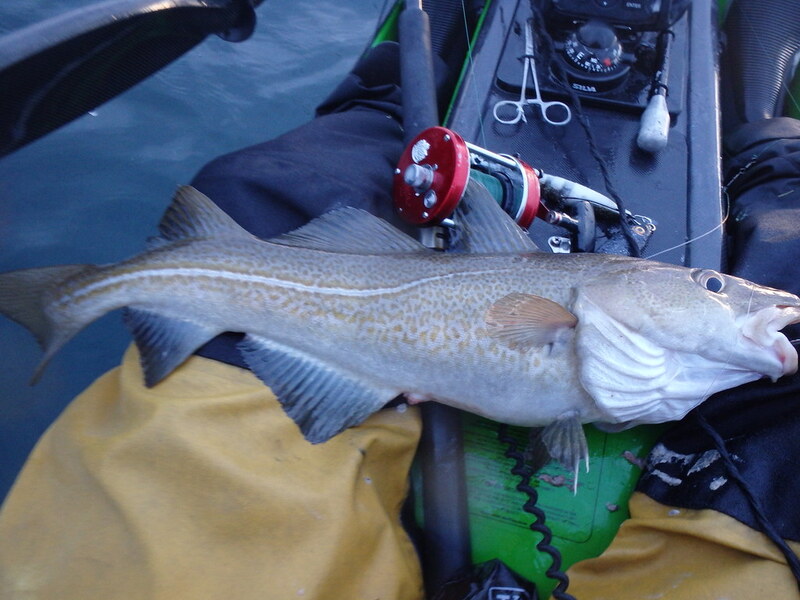 A dozen or so cod with most around the 4lb mark and a couple of nice Pollock plus a pb Ling for me which was weighed on shore and was a touch over 10lb. Happy Days! 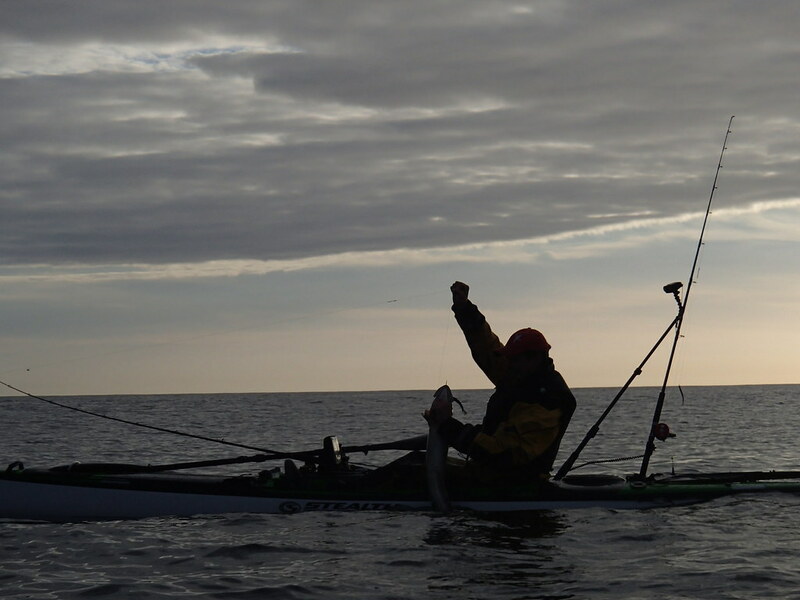 A very enjoyable morning out and back on shore for 10am.